A Call for Justice for New York’s Farmworkers! In an effort to bolster New York State’s economic development, Governor Cuomo has hosted a beer, wine and spirits summit, a yogurt summit, and a tourism summit to support local industries and promote job creation. 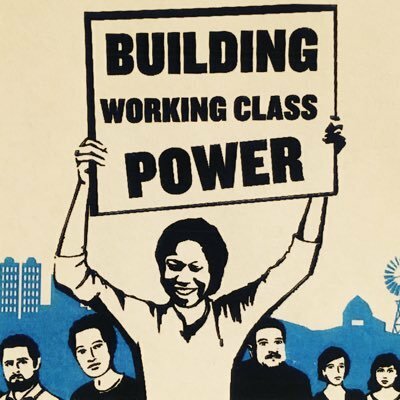 But why hasn’t there been a farmworker justice summit? New York’s farmworkers form the backbone of the state’s multi-billion dollar agricultural industry, but they are excluded from basic labor law protections like minimum wage requirements, overtime pay and the right to join a union, to name a few. Many enjoy biting into a crisp apple or a sipping on a glass of wine, but how do these fruits get from the farm to our tables? Join the Justice for Farmworkers Coalition tomorrow, June 17th, at 12pm in front of Governor Cuomo’s Hicksville office (303 Old Country Road) as we rally for accountability along the supply chain and demand justice for New York’s farmworkers! Governor Cuomo’s daughter has called for support for farmworkers, now it is the Governor’s turn! 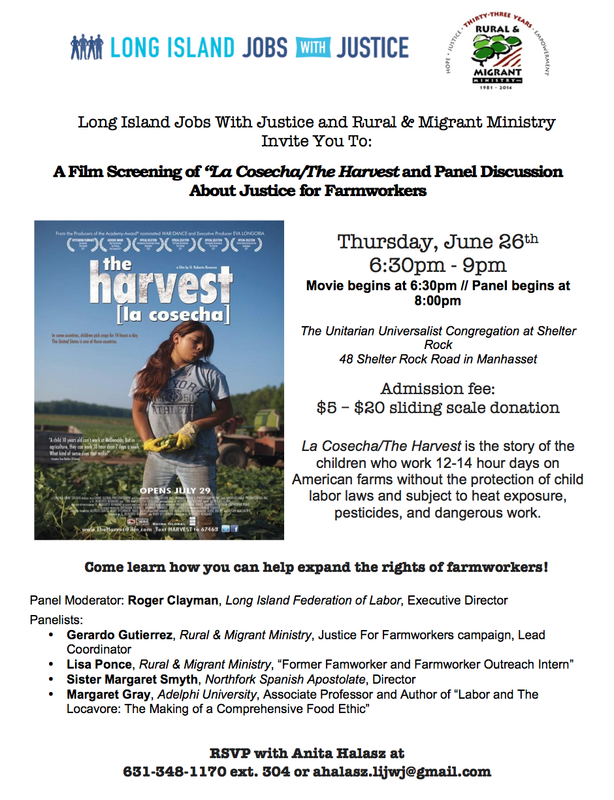 If you are unable to attend tomorrow, please join us on Thursday, June 26th at 6:30pm at the Unitarian Universalist Congregation of Shelter Rock (45 Shelter Rock Road, Manhasset) for a screening of The Harvest/La Cosecha and a panel discussion. The Harvest/La Cosecha is the story of the children who work 12-14 hour days on American farms without the protection of child labor laws and subject to heat exposure, pesticides, and dangerous work (event details below). Don’t forget to RSVP with Anita Halasz (ahalasz.lijwj@gmail.com // (631) 348-1170 x. 304) if you plan to attend.